Who Owns This Ginger Cat? #Sackville (Cockburn Area) | Sack-Vegas!!!! This is a very timid cat that has been hanging around the Cockburn area in Sackville. It’s hanging out in a little shelter. Is it yours? Message me if it is! Posted by Sacky on March 31, 2014 in Escaped Sacktown Critters. This could be my cat missing since January,where exactly are you at? A tweeter sent me the pic. I can message them. They may be in school right now. Are you on Twitter? Could this cat be Cling, posted by Christine Smith on this site? My cat has been missing for a year and half. It’s unlikely that it’s mine but since the picture is so fuzzy it’s hard to tell. He was always very friendly, loved people but if he’s been on his own for this long, who knows what his personality is now. If you can get a better picture or let me know when he’s around, I can come and take a look. Can you give provide more details on kitty. Exact location. I operate a lost and found group for cats for the Sackville and Bedford area and we would like to see if this kitty could possibly he one we have posted missing. I’m trying to get a hold of the person. She contacted me through a Twitter DM. Would the person who is feeding this kitty please contact me. 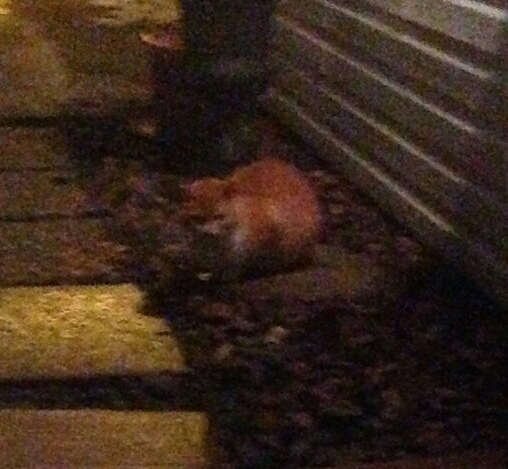 If this kitty is indeed a stray, The Watchcats group would like to rescue him.